Taking supplements is very common in Hong Kong but I am afraid not many of you know - you are actually taking in chemicals that harming your own body on a daily basis. There are actually two different kinds of supplements in the market, "Synthetic vitamins and Natural vitamins". Do you really understand the difference? Or you simply ask " Does it matter?". I hope you can take a few minutes to read this, I am sure it will be a turning point to your health! What Are Synthetic And Natural Nutrients? Synthetic nutrients: Also referred to as isolated nutrients, these are usually made artificially, in an industrial process. Synthetic nutrients do not include "whole food supplements," which are made from concentrated, dehydrated whole foods. 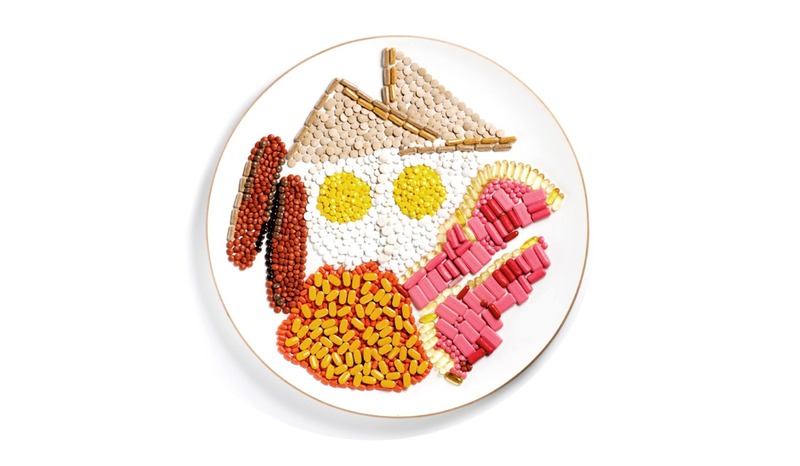 The majority of supplements available on the market today are made artificially. These include vitamins, antioxidants, minerals and amino acids, among others. They can be taken in pill, capsule, tablet, powder or liquid form, and are made to mimic the way natural nutrients act in our bodies. The production process of synthetic nutrients is very different to the way plants and animals create them. Despite having a similar structure, your body may react differently to synthetic nutrients. For example the synthetic form of vitamin B12 is called cyanocobalamin. It actually has the toxic substance, Cyanide in it, that then has to be removed by your liver. Cyanocobalamin is the synthetic form of vitamin B12. Methylcobalamin is the all-natural form of vitamin B12. And we could go into all the science. You can also google it for yourself, but I can tell you even something as simple as synthetic calcium has been proven to increase your risk of heart attack and stroke by as much as 30%1. These are staggering numbers. And unfortunately, people lump all supplements together. They don’t really understand the difference between an all-natural and a synthetic. 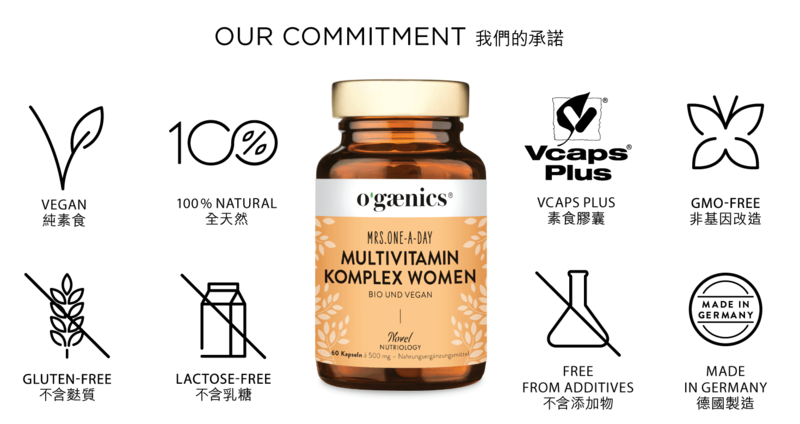 They are 'Whole Food', just like one of our brands - Ogaenics, consist of 100% vegan and natural vitamins and minerals derived from fruit-, vegetable- and plant-extracts, together with their naturally occurring co-factors and co-nutrients. These are recognized by the body as food and are therefore transported faster and more tolerably into your bloodstream than is the case with synthetic vitamin and mineral products. Many ingredients come from controlled organic cultivation - they are grown without pesticides, artificial fertilizers or other harmful or chemical additives which is 100% healthy for us and our environment. How To Read The Lables? To figure out if your supplement is synthetic or natural, check the label. 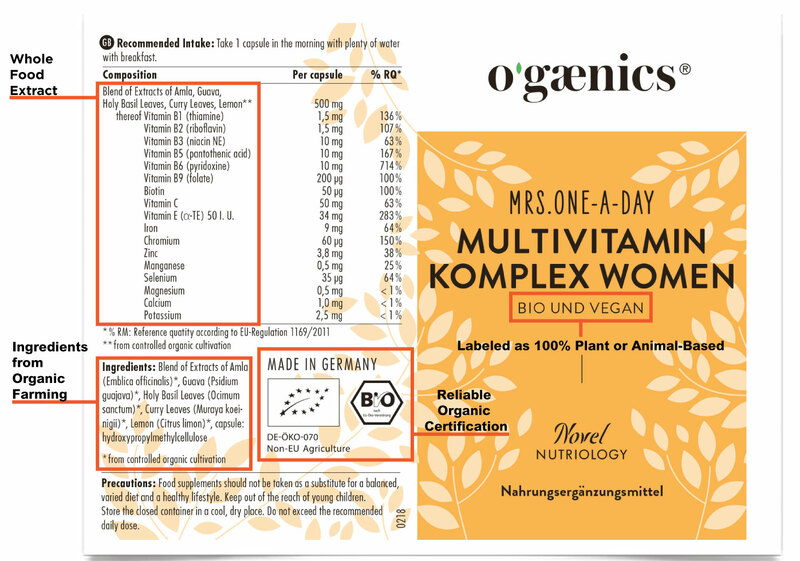 Natural supplements usually list food sources or are labeled as 100% plant or animal-based.Supplements that list nutrients individually, such as vitamin C, or use chemical names like ascorbic acid, are almost certainly synthetic. It is unclear how well synthetic nutrients are absorbed and used in the body. Your body will use nutrients best when taken in whole food form, with a wide variety of food compounds. Research consistently shows that synthetic nutrients are no replacement for a healthy, balanced diet. Getting natural nutrients from whole foods is always a better option.